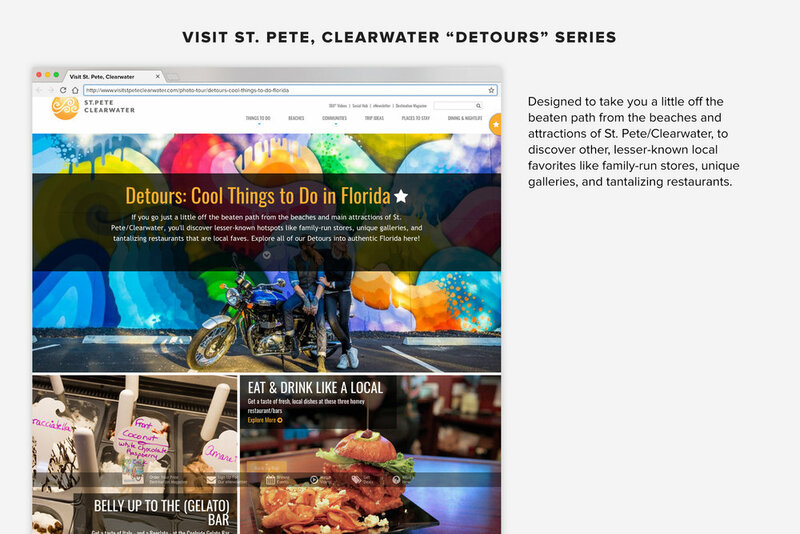 Taking over local and regional media relations for our home destination in 2013, Paradise played a key role in St. Pete/Clearwater’s long run of record-breaking tourism metrics and bed tax collections. The agency’s primary job was familiarization tours, which we planned, organized, and coordinated with industry partners. Our PR team members also hosted these FAMs for visiting media, and in the process generated bonus placements. Along with FAMs, press materials and pitches, Paradise produced regular branded content for the CVB website.